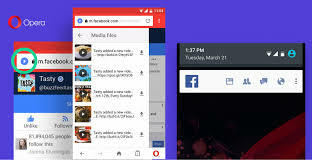 Now Adays, Opera Mini is One Of The Most popular browser on mobile platforms for its data saving functionality and customisations. Opera has rolled out a new update for Opera Mini for Android that brings a few new features. The New Update will allow All users to save pages For Offline Use. The New Updates also helps user to choose extreme data Saving mode. When you are in the Extreme data savings mode, it Will automatically scans social media, MP3, and movie download sites for direct download links. The downloadable content will show up in a drop-down menu right at the top of your screen, making it easy for you to find you were looking for.The auto scan feature includes sites like Facebook, Pagalworld, Tubidy, DJPunjab and more. 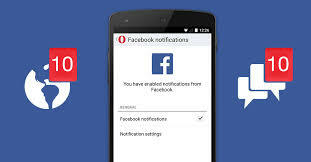 Operamini also add Facebook notification bar to the app,When users sign in they will able to recieved latest update without opening the app. The new update brings improvements to the download manager UI and several other bug fixes to make it smooth. Android uses can download the updated Opera Mini for Android app from the Play Store.